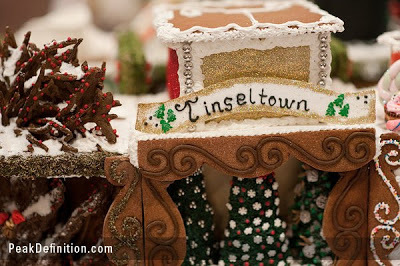 The National Gingerbread House Competition was November 16, right here in our neck of the woods — Asheville, North Carolina. What better way to welcome the holiday season than with gingerbread houses? And these aren’t just any gingerbread houses; they’re culinary works of art. 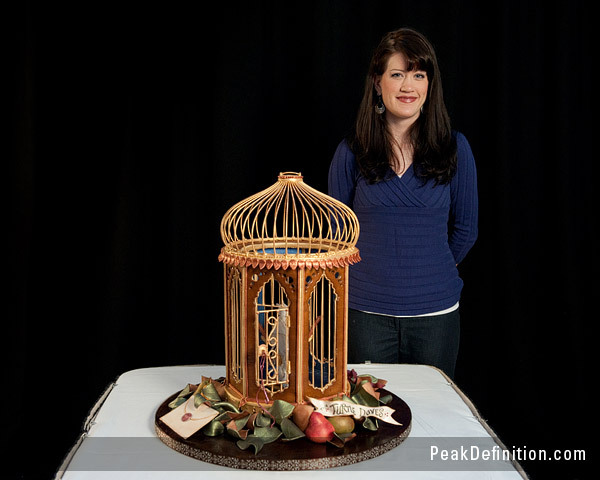 The photo above is the winner of the Grand Prize standing next to her entry. And the photo below is a closeup of one of the other entries…amazing work! You can see photos of all the entries at http://peakdefinition.com. If you want to see first-hand the entries that were in the 2009 National Gingerbread House Competition, they are on display for the public’s enjoyment in two Asheville locations, the Grove Park Inn and the Grove Arcade, from now through January 3, 2010. The Grovepark Inn has public viewings of its display Monday through Thursday; behind-the-scenes specialty guided tours are also available. The Grove Arcade in downtown Asheville has 35 of the competition’s entries on display from 10am to 6pm Monday through Saturday and noon to 5pm on Sundays.